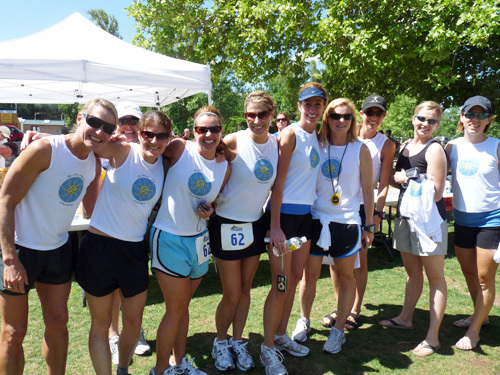 Teams of relay runners will begin the Reno-Tahoe Odyssey adventure run on the last day in May. The relay teams consist of 12 runners, using two vans which will travel night and day to cover the 178 mile course. Their journey begins in downtown Reno where the runners make a loop course that passes through Truckee, Lake Tahoe, Genoa, and Virginia City, before returning to Reno. What kind of runner wants to travel 178 miles packed into a minivan without sleep or a shower for 24 plus hours or more? Reno-Tahoe Odyssey (RTO) runners are lured by the team spirit and camaraderie they get from achieving a goal that requires teamwork. There are speed related awards presented, but for most RTO runners, the journey is about having fun, meeting people, and making new friends. In addition to competitive awards, RTO presents awards for the most spirited team, best team name, best custom team shirts, and best decorated team vehicles. There are 36 relay exchange points along the route and an award is given for the most spirited exchange point. 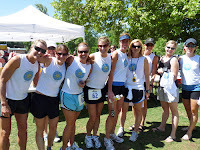 There are 259 teams scheduled to begin the race which begins in Wingfield Park at 7:00am on Friday, May 31. Teams leave at various times of the day, based on their expected finish time. The fastest teams will leave at 4:00pm. Most teams will finish in Wingfield Park on Saturday between 11:00am and 4:00pm. The maximum time to complete the event is 33 hours. You might like to stop by one of the exchange points to see all the fun they are having. I listed a few key exchange points. 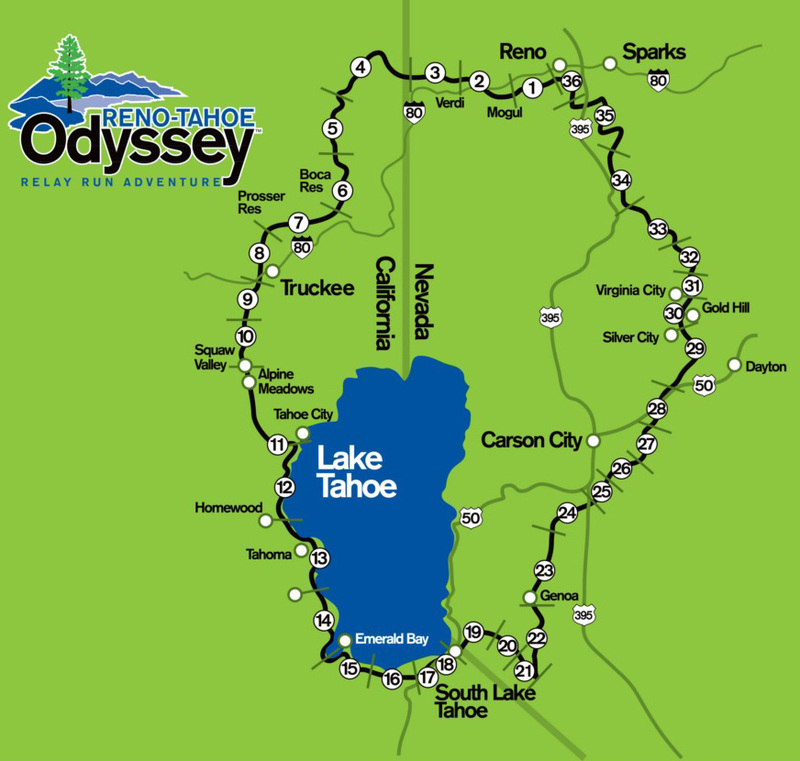 All exchange points are listed on the Reno-Tahoe Odyssey website. · Truckee, Exchange #8, W. River Drive at River Park Place. · Squaw Valley Park, Exchange #10, entrance to Squaw Valley @ Hwy.89. · Tahoe City, Exchange #11, In the bike parking lot near the pedestrian bridge. · Homewood, Exchange #12, Homewood’s parking lot. · Tahoe Keys, Exchange #16, Tahoe Keys Blvd. near Venice Drive. · S. Lake, Exchange # 17, Lake Tahoe Blvd. near Raley’s.